Here are some things that I do, which work superbly for me---and maybe they will be of use to you too. 2. Write every single day: If you want toned muscular arms, you go the gym and pump weights,take whey protein and spruce your diet. You put in hard work and you see results. How is writing any different? If you are serious about being a writer, you have to write every single day. You needn't write a novel or a book or anything 'great'. You don't even have to share it with anybody. You can write emails, blog posts, diary entries, journals, paragraphs, about something you read, something that moved you, something you feel strongly about---anything at all! There are no rules. Just write and pour it all out. It is certain to get better with time and experience. 3.Learn a new word every day: When I was a little girl, my dad told me to read the editorial of 'The Hindu' and write down difficult words that I did not know the meaning of. Those were the days before Internet and computers. I would write them down, look them up in the dictionary. Then my dad and I would use that word in a sentence. I would come up with a sentence and so would he. Today it is so easy. I get a new word delivered to my inbox every single day. The good part now is that I know eighty percent of them :) And when I come across a word I do not know, I am delighted to have learnt something new. There are many more free online writing courses including one which MIT offers. Happy writing folks! Hope what I have said helps you all. If you liked what I have written, don't forget to leave me a comment in my comment box. 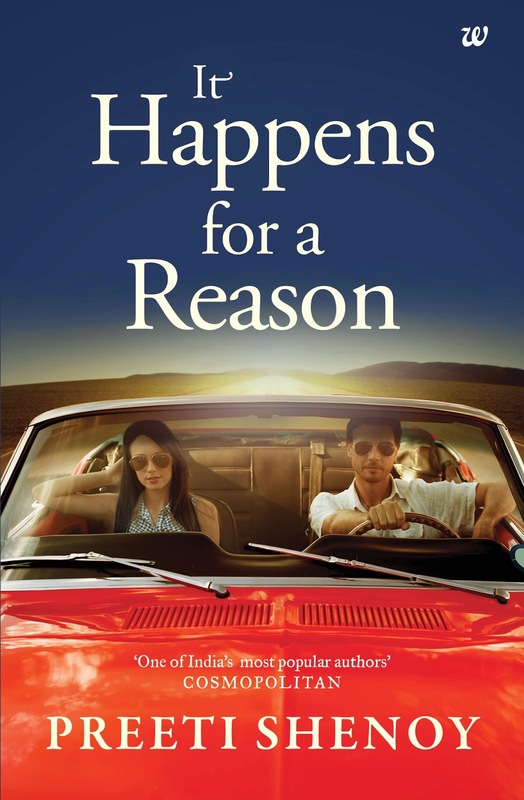 And yes---if you are looking for a contemporary, racy, gripping read, my new book 'It happens for a reason' will be out in less than 5 weeks! You did not mention about how you started with writing your first novel. I read that you wrote on your blog, and after getting a good response to it, you took up novel writing. Is it true? If yes, what were the kind of posts that you wrote on your blog? Any links? Thank u so much for replying my query.. :) definitely i will implement all your tips to improve my writing skills.. :) Thanks a lot once again.. Which book was that? :) Thanks. 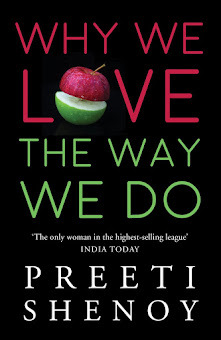 Hi Preeti, You are just too good! I am very glad that I accidentally stumbled upon your blog a couple of years ago. I love your sharing and caring attitude. Thank you Rinku and glad you found it useful. happy writing! Thanks a lot Preeti for the online course details provided ! I will definitely would opt for relevant courses that will enhance my writing skill ! And yes desperately waiting for your new book ! Thanks Vaishali! Yes, the courses do help, as does constant practice. Very encouraging and resourceful post! Thanks for sharing. To whom and about what? I get about 50 emails a day. You are one among God's own creations. Your tips will sure help me! Hope you will reply at one day positively looking forward and waiting for your reply.. Thank you so much preeti !!! I really admire ur creativity and hard word that you do for your readers and love you for encourage me and please keep in touch. Great inputs, Preeti and so true bout reading and jotting words. My weak point is grammar which I need to wok a lot on. 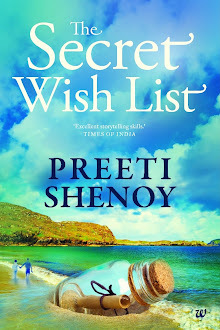 Very well written write up Preeti...I love reading u whether it's blog or novel. And, today with this post, u have helped many aspiring writers including ME !! "Four Mantras for Perfect Happiness"